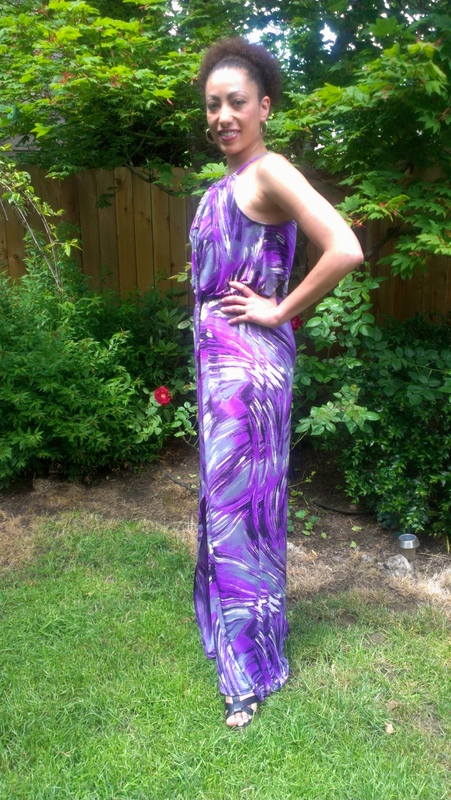 I just finished this maxi dress made from Simplicity 1355 pattern. 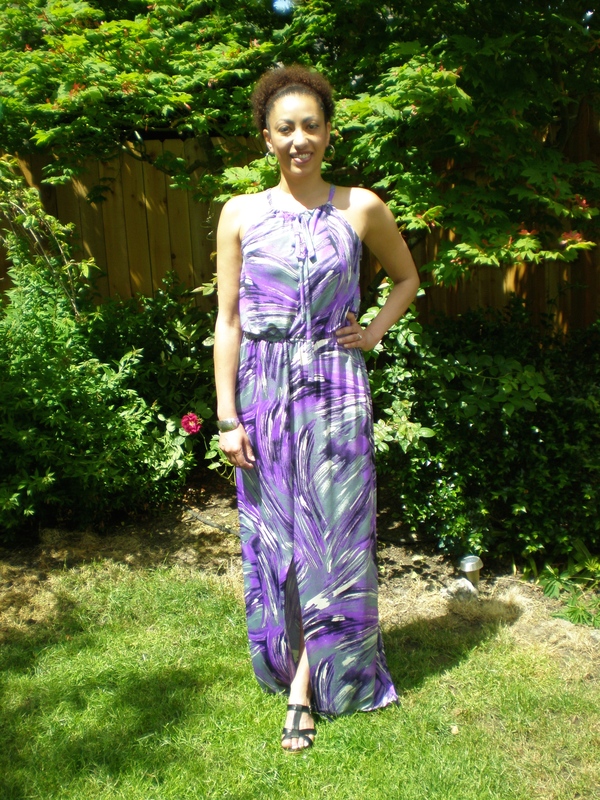 It’s a halter style top with a drawstring tie closure and center front slit. 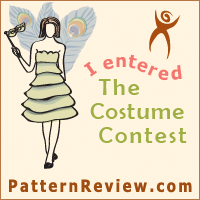 It was fast and easy to make and is very comfortable to wear! 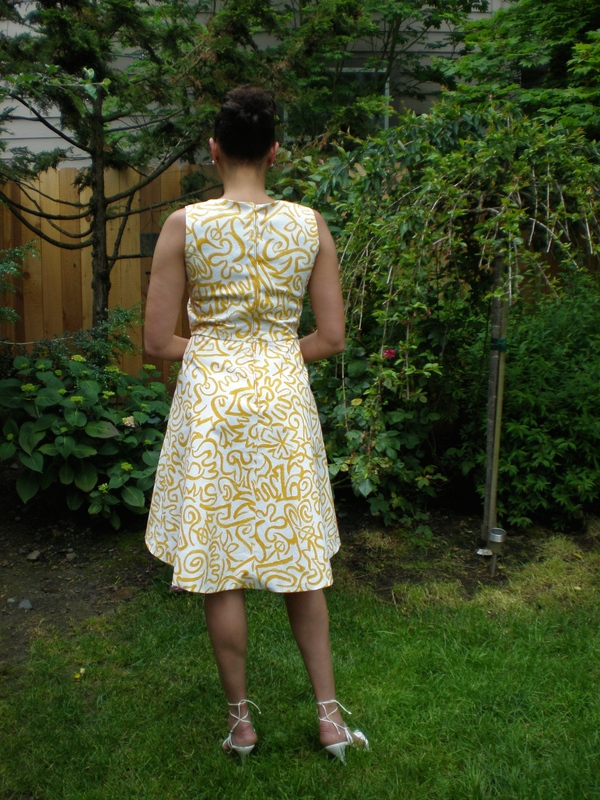 My serger came in very handy with making some of the seams of this dress. I think I need to make about 2 more of these dresses for summer, one in black, and maybe another one in a nice solid color and/or another print. The possibilities are endless! 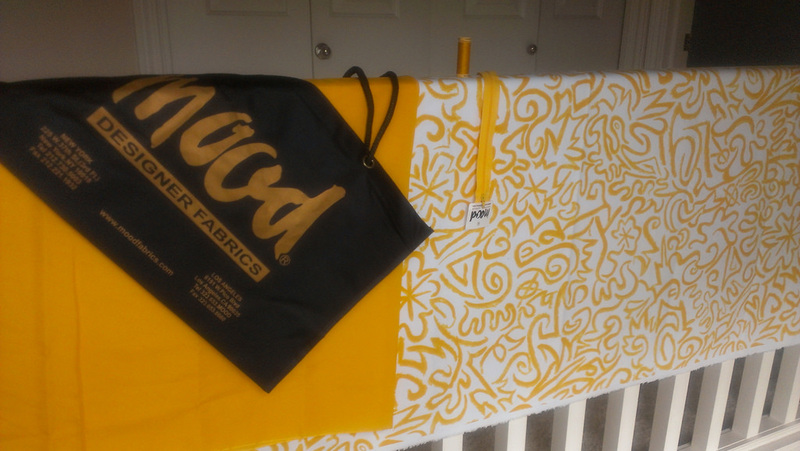 Mood Fabric giveaway bundle I won. 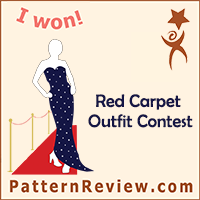 The outcome of the dress is cute IMO, but not what I was hoping for. It is kind of plain and unexciting. 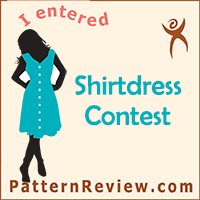 I really should not have rushed to just enter something for this contest and cut it out in this pattern as it is really not all that special of a fun spring dress. 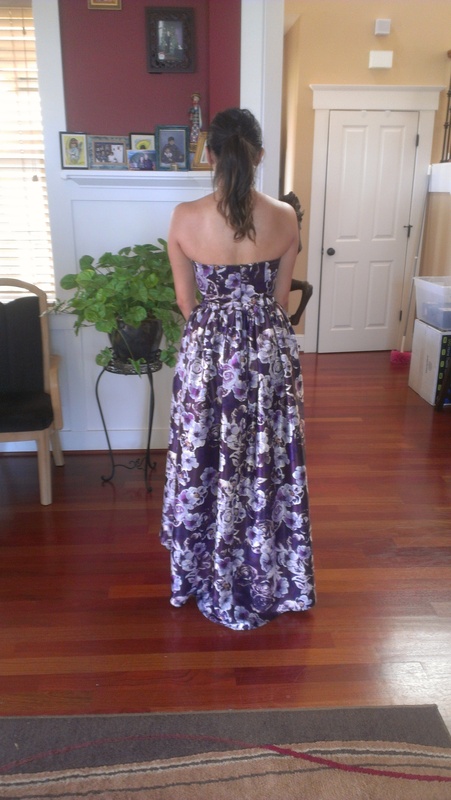 Prom gown custom made for Crystal. I met Crystal’s mother in the fabric store as she was asking a sales associate if she knew anyone who could sew a dress for her daughter. I was standing there as she asked the sales clerk and said, “I can!”, and that was the introduction to a wonderful and challenging journey. Crystal shared with me what she was looking for in a prom dress, but could not find in stores or online for a reasonable cost. I LOVE the gowns she showed me and was immediately excited to design her a dress similar to these gowns! 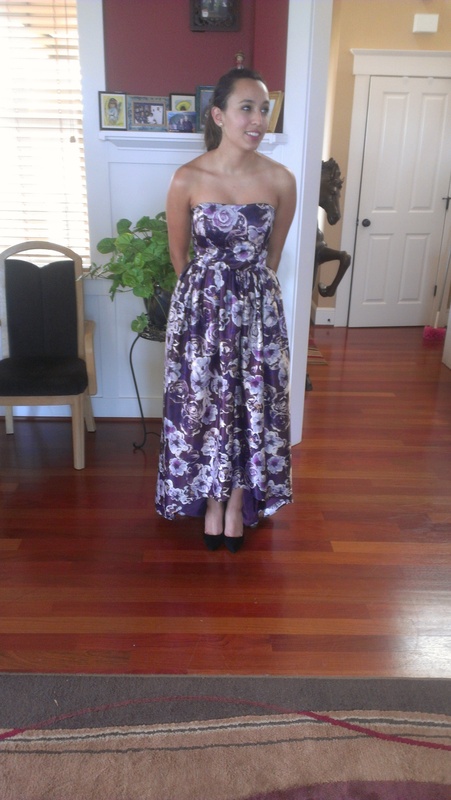 Then came the hard part: finding a suitable fabric that didn’t cost a small fortune per yard to made the dress out of. We went fabric shopping a couple of times together and she came across this lovely purple tones floral printed polyester satin for $8.99 a yard (and on sale 30% off!) and it was perfect for the dress. 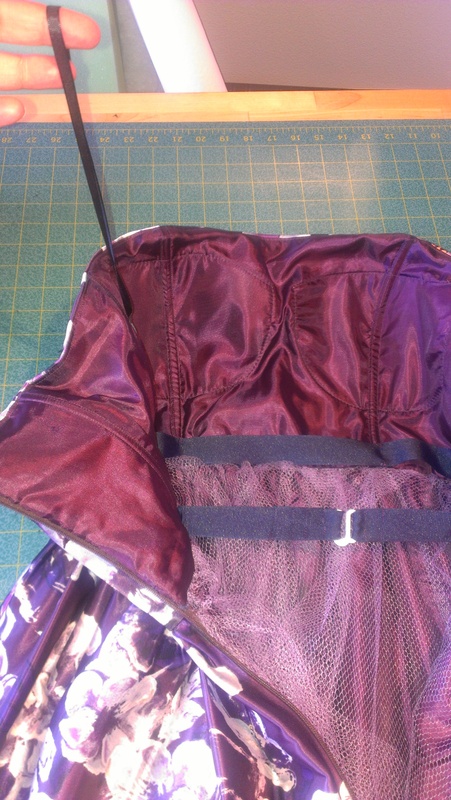 We also found a complimentary plum-colored lining for the dress that was only $3.99 a yard (also 30% off!). 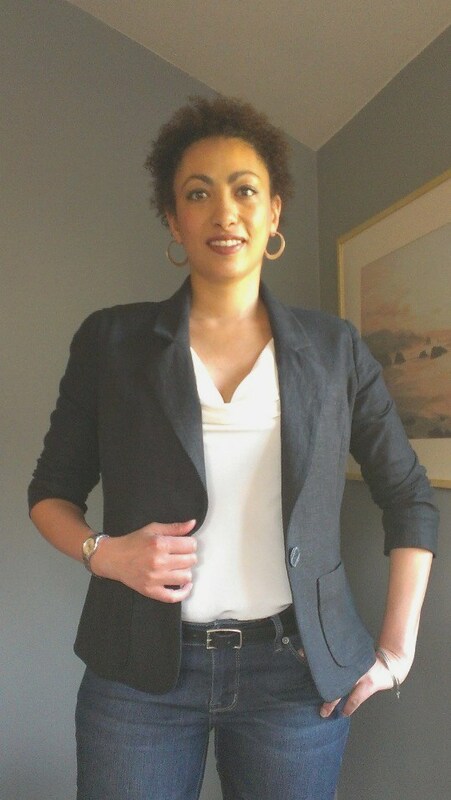 I found some commercial patterns to try to get the look she was going for including Burda 7011 as shown below. She wanted the skirt of the gown to be gathered and not flat, like the Burda pattern was like, so I drafted the skirt myself using two large rectangles 3 times wider than the waist measurement to gather into the waist. 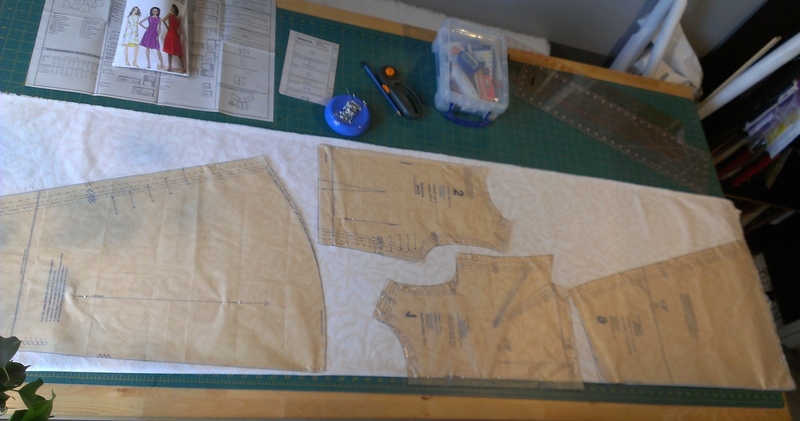 She also wanted the front of the dress hem to be higher than the back, so I carefully drew in an arc shape at the front of the dress hem and cut the shape out of the outer and lining fabric. Burda pattern I used for the bodice. 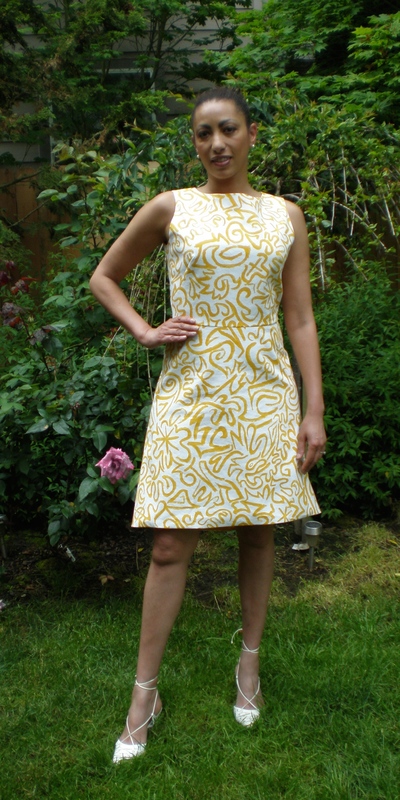 The gathering of the skirt and skirt lining proved to be one of the most challenging parts of making this dress! The fabric is heavy, slippery and frays like crazy, so I had to take my time to gather carefully and evenly all around the skirt and sew it to the bodice with precision. Hemming the skirt was also a big challenge. 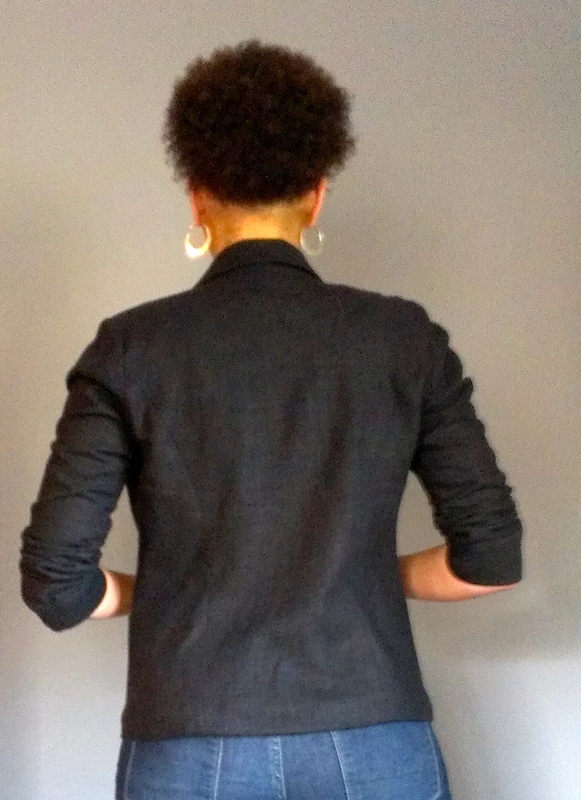 At first, I wanted to make a deep, 2″ hem to give the skirt some weight and hang nicely, but as I pined and tried to sew this deep hem, it really was not working and caused major puckers and was not sitting flat against itself. So I ripped out all the stitching and just made a narrow hem at the bottom. My serger came in very handy for making this hem, and also to prevent fraying on the edges of the two fabrics. We also decided to add a layer of tulle to the skirt to give it a little extra fullness. After the second fitting of the dress, which we did before I inserted the boning and installed the zipper, and we decided to add bra cups into the bodice for extra support in the dress and eliminate the need for a bra. Here is the interior of the bodice of the dress including the sewn-in bra cups, satin hanger loops and grosgrain ribbon waist stay (a belt-like support sewn into the dress to help support the weight of the skirt and keep the dress up). 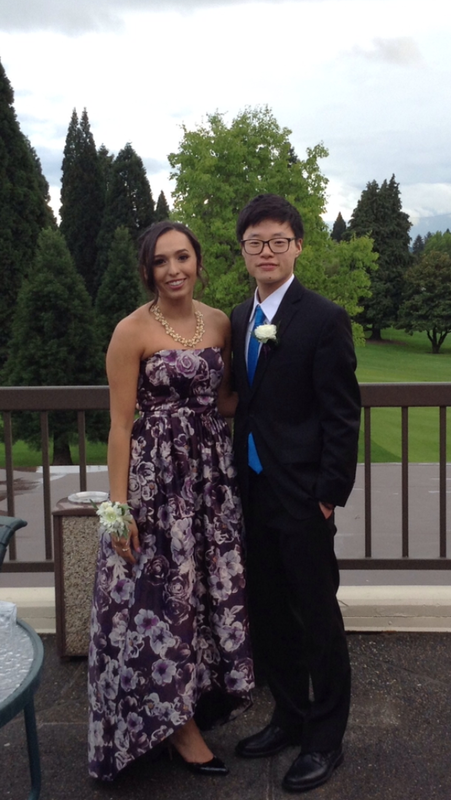 All in all, it was a great experience working with her and her mother to create the prom dress that she envisioned. I learned a lot along the way and hope to make more custom dresses for her and other clients in the near future. 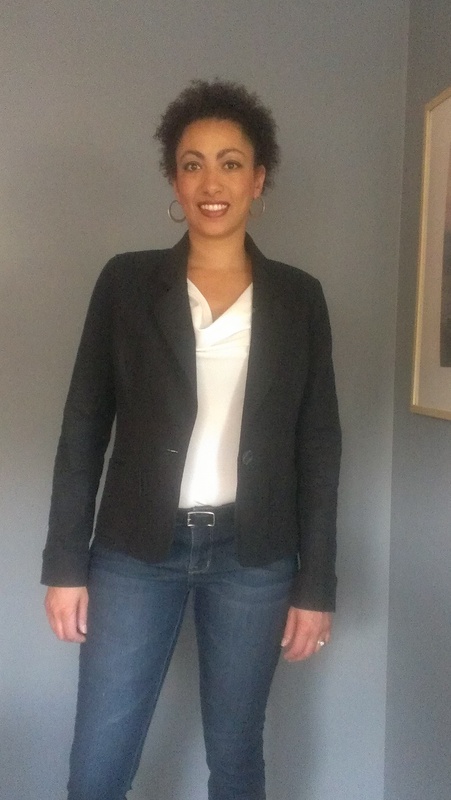 I started to make this jacket from New Look 6035 pattern (part of a coordinates pattern) at the end of last summer. I got pretty far with it, but something or other distracted me and I put it aside. Well, I just picked it up last week and decided to finish it. I am trying really hard to finish projects that I have started before I move on to the next best thing that I just have to have. There are just so many things I want to sew! 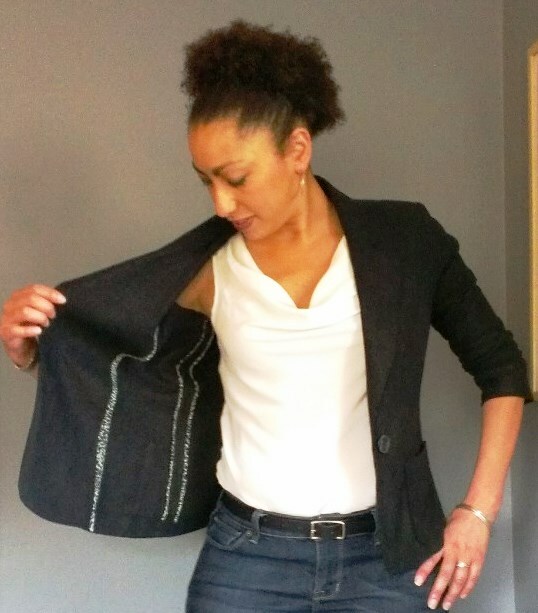 This jacket is a simple design as it is unlined with princess seams and patch pockets, so I upped the construction factor by making Hong Kong finished seams for most of the seams. I used some leftover printed silk to make the bias strips for the seam bindings. This took about 6 times longer for each interior seam and the sleeve seams as the seams are sewn, then each seam allowance is bound by sewing a bias strip of the silk to both sides of the seam allowance. Lots of work, but it looks great on the inside. Glimpse of interior of jacket over silk dress that I used the scraps from to make bias binding. I am really happy with my newly completed (or should I say finally completed!) jacket. You will be seeing me in this jacket a lot! I have enough of the same fabric left to make a pant or a skirt (or even a little sheath dress! ), so at some point, after I have gotten through my long, long list of sewing projects I want to accomplish, I will make a piece to make this into a nice linen suit. Exciting! I whipped up this nice pencil skirt on Sunday evening using Simplicity 1465 pattern in a great Italian cotton geometric print from Mood Fabrics online. I swapped the invisible zipper for an exposed metal zipper for fun and to give the skirt a little edge. This skirt was a snap to sew up and took about 2 hours. It is unlined, and I figured this fabric didn’t really require a lining, and saves time sewing. 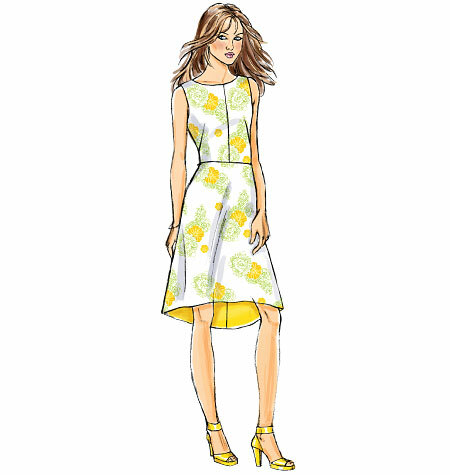 A lining could easily be added to this pattern, using the skirt pattern pieces and the facing pattern pieces and doing a little pattern drafting from there. My new Babylock serger was a big help with the seam finishes to finish the interior seam allowances and prevent fraying. I wanted to bind the seam edges and make a Hong-Kong finish, but I didn’t have any bias binding on hand and was not about to run out to the fabric store for the second time in one day, so I just serged the edges instead. Tweed pencil skirt with leather.